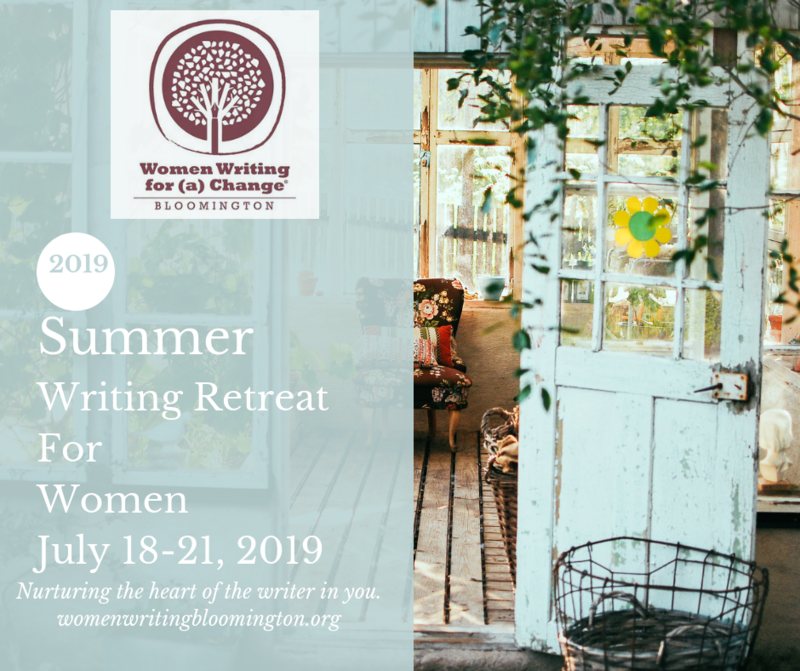 Fifteen years ago, the Bloomington affiliate of Women Writing for (a) Change started with one creative writing circle for 18 women. We were exploring the tenuous territory of truth-telling by honoring our stories in fictions, poems, personal narratives, and journals. For many, this morphed into the larger story of what it means to live and write and discover our voices and connections in a tumultuous and divisive era. This year we’re celebrating the evolution of this single circle into many circles of co-inspiration, healing and action. Whether in our workshops for women or in any of our many outreach circles in the community, we’re still exploring the various ways the truths of our diverse lives tell another story and open each of us to larger aspirations for the world we make together. We’re thrilled to sponsor a reading that welcomes poets from many corners of our community and at the same time, celebrates our work here in Bloomington. 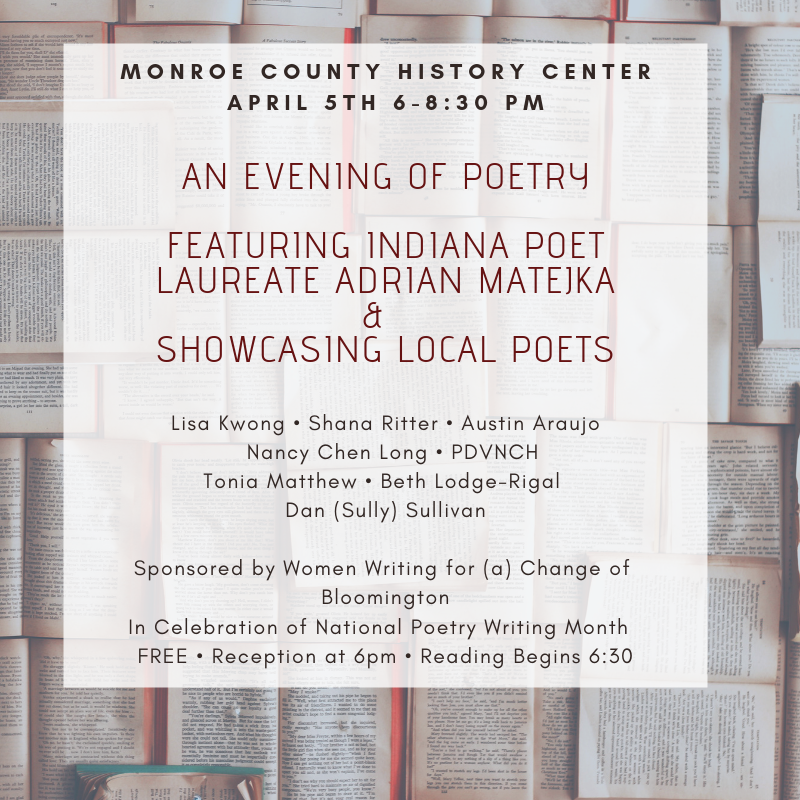 Thanks in advance to Professor Adrian Makejka, Indiana’s Poet Laureate, for bringing his voice to this event, along with friends from IU, Ivy Tech, The Writer’s Guild, and of course, Women Writing for (a) Change. SoulCollage Saturdays at Women Writing for (a) Change of Bloomington. 3 more Saturdays this Spring: Mar 23, April 13, May 4 10 am-2:00pm Facilitated by Licia Weber. March 30th 1-4pm Kick-off Workshop for NaPOWriMo (National Poetry Writing Month) get inspired and join the April poem-a-day challenge! Registration for all programs is ongoing. Follow this link for more details and to register. There is a seat for you in one of our circles!